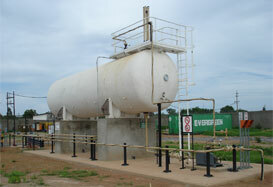 Scope: Total plant upgrade on LPG supply to plant. Scope: Relocate and refurbish 45m3 bulk LPG vessel ,install pump and scales including flame proof electrics at new site. 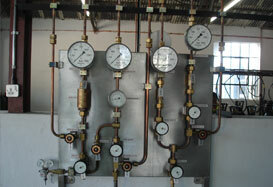 Manufacture and install sprinkler system over the bulk tank , including main water supply to sprinkler. 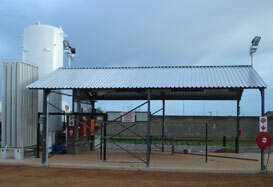 Scope: Strip out and relocate bulk filling tank and equipment from Maputo to new location in Nampula. 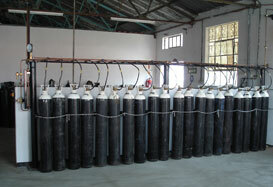 Scope: Bulk oxygen installation with vaporizers and panels to the steam injection points. 100% x-ray stainless pipeline. 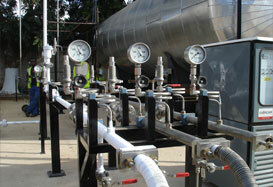 This is only a few selected installations, expressing our competence in the field of gas installations.  Rynfield Construction ( Malcolm Ras 083 282 4343 ) Director. Afrox ( Ron Mckenzie 011-876-1000 ) Manager Special applications. Totalgaz ( Johan Fereira 021-413-4000 ) Operations Manager. Parkcon Projects ( John Parker 011•478-0551 ) Director. Consol Glass ( Jaco Killian 011-874-0000 ) Project Engineer. Afrox ( George Killian 011-876-1000 ) Regional CES Manager. Washtech Consulting Engineers ( Tommy Coetzee 011-466-6391 ) Project Engineer.